Whenever time allows, I try to get into the workshop for some quality time woodworking. 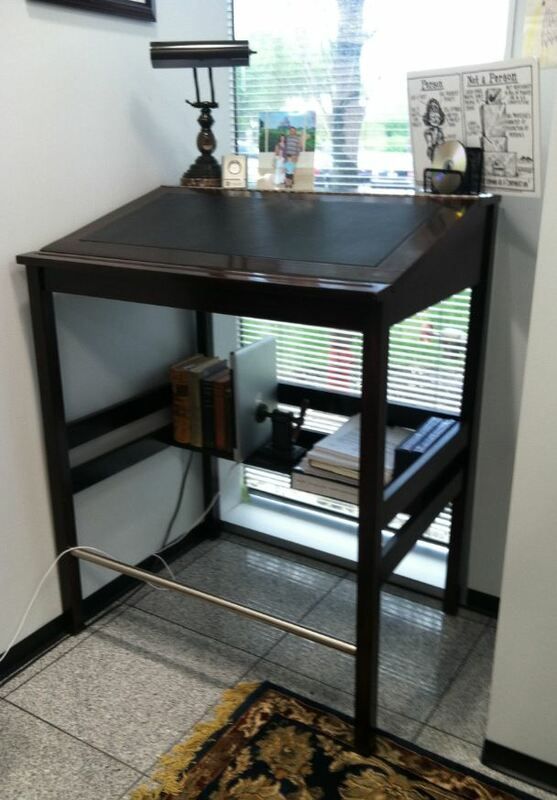 This is a stand-up desk I built. I now use it in my office at work. Half the fun or working on projects are the tools you get to use. But to say that these tools can be dangerous is an understatement, and few tools are more dangerous than the table saw. 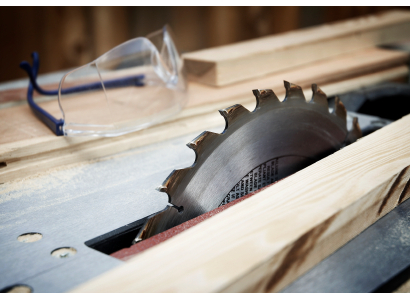 Every year, more than 3,500 people lose a finger on a traditional table saw. This saw does not have SawStop, much less a guard. But there is a technology that can prevent virtually all finger amputations from table saws. Its called SawStop. It works by sensing the electrical current in a finger and immediately stops the blade from spinning. However, none of the major manufacturers of table saws have incorporated this technology into their saws. The companies, through their trade group – The Power Tool Institute, are even fighting making this technology mandatory for all table saws. Does everyone know that table saws are dangerous? Sure. But does everyone know that the manufacturers could make their table saws safer and avoid the horror of amputations, but have chosen not to? Methinks not. Even when a product does not malfunction, it may still be defective based on the design choices made by the manufacturer. I welcome your thoughts, comments, and musings here. Enter your email address to follow FSBD and receive updates by email. This blog does not give legal advice. This blog does not create an attorney client relationship. You are not permitted to rely on anything in this blog for any reason. This blog is an entirely personal endeavor. This blog is intended only to create a forum for discussing the legal issues surrounding product liability personal injury cases.